Elementary & Secondary Education refers to services and supports provided to children, youth, and young adults with autism; these are guided by an Individualized Education Program (IEP) developed to fulfill the mandate for a “free and appropriate public education” and are coordinated through the local school district. QI 6.1: Children with autism receive educational supports that maximize their potential. Problem: Many parents feel that they are not fully informed about educational and intervention options. 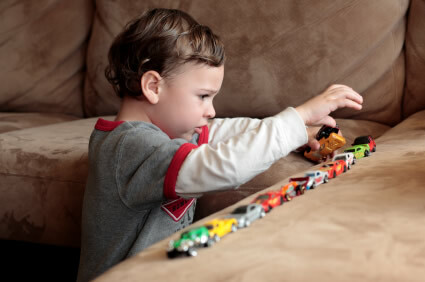 IEPs are often deficit-driven, highlighting what the child with autism cannot do. Children’s capabilities often go unrecognized; this is a concern as children get older as individual skills and interests become an organizing focus for the education of their peers, but students with autism are often confronted with a restricted range of options. QI 6.2: Teaching methods address the unique needs of each student with autism while recognizing the student’s strengths and interests. Methods vary based on age and developmental appropriateness. Instruction may, therefore, be delivered individually or in small groups, as well as be embedded into natural routines and large groups. Problem: Many teachers report that they are unfamiliar with the evidence-based strategies for children with autism that promote communication, socialization, and self-regulation. The diagnosis of autism may overshadow specific instructional needs related to accessing the general curriculum, so that they are less likely to be exposed to the range of evidence-based educational intervention strategies. Some teachers say they are reluctant to communicate with parents about the need for new or additional services for a child because of cost, service availability, and difficulty in providing accommodation or adaptations. QI 6.3: Instruction focuses on improving functional communication, socialization, and self-regulation skills, in addition to learning the general curriculum. Problem: Social skills programs are often not included in the curriculum for students with autism. Many of the behaviors typical of autism are judged as noncompliant or willful, which results in repeated complaints to parents about their children.